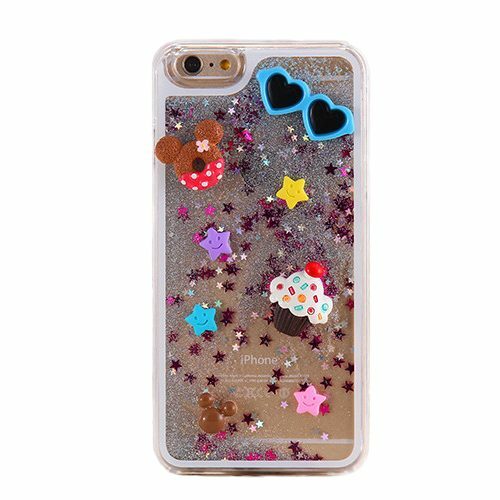 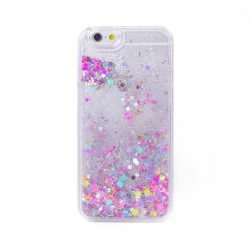 Kawaii iphone case with floating sparkly glitter and stars in liquid with different kawaii 3D stickers. 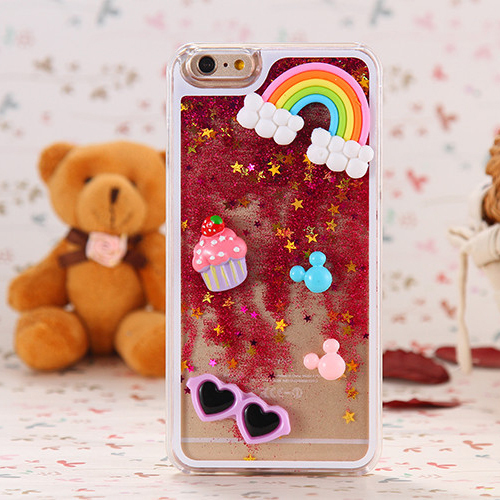 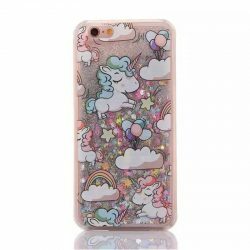 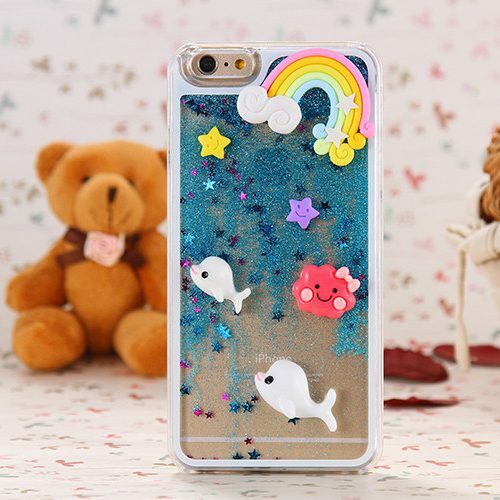 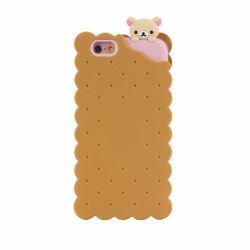 Rainbows, clouds, whales, stars, cupcakes, Mickey mouse ears and other cute kawaii stuff you need on your phone case! 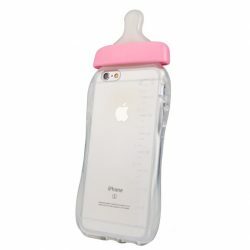 3 colors available: pink, blue or multicolor.